As 2014 draws to a close and 2015 is almost upon us it is a perfect time to make a healthier resolution for the New Year. A simple and very effective healthy practice is to resolve to add a small amount sprouts to every meal. 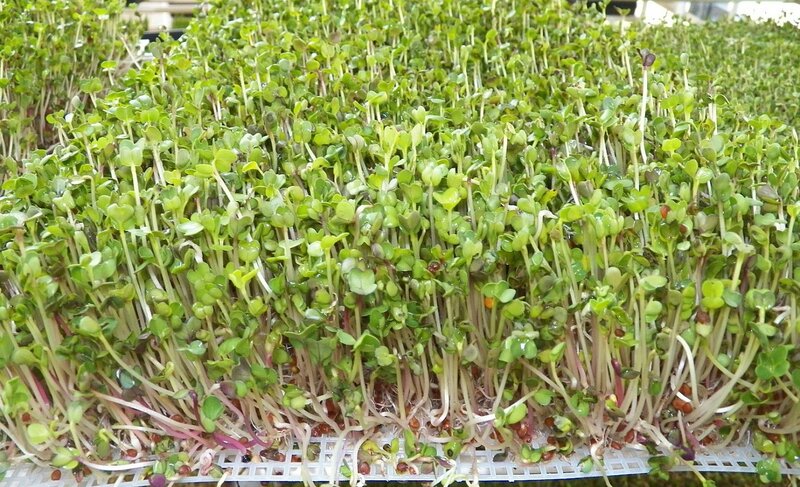 Every grocery store will have at least one type of sprout on the shelf or you can grow your own! You can sprinkle a few on your salad, add to your entree or have them anytime as a healthy snack. Sprouts are baby plants in their prime and are, on average 20 times more nutritious than even the best raw vegetables. At this early stage of growth sprouts have a greater concentration of nutrients than at any other time in the plant’s life. All of the energy stored in the seed is ignited by the soaking and rinsing process.